We are a Zurich based Internet company that develops and runs professional web applications. Take a look at what we do. Here is a little information about us and what we do. We are a small, multilingual team running a big business located right in the heart of Zurich, Switzerland. Unlike regular digital agencies, we do not take on any external client work but only develop and maintain our own products in-house. This allows us to fully focus on creating and evolving great web applications that are currently being used by hundreds of thousands of people every day around the world. Running our own products requires more than just web development: We also take care of customer support, online marketing, data analysis, market research, and much more. We are always on the lookout for new talented people to join the team in our Zurich office. Take a look at our open positions. We have over 1,000,000 registered users across all of our products. Take a look at the great products we build and maintain. 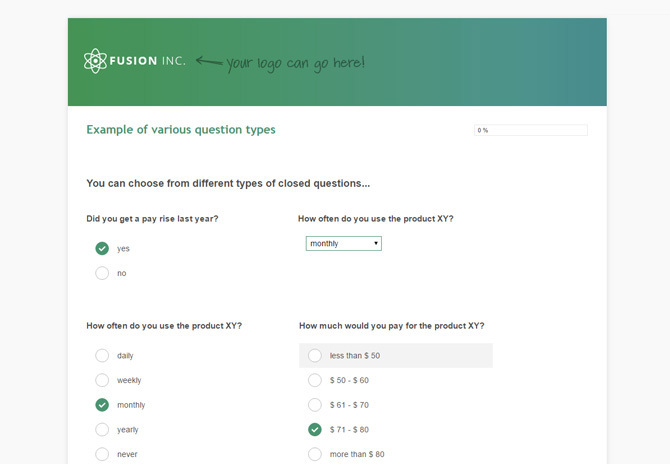 Our most recent product release is a next generation survey creation tool that is jam packed with the latest web technology. We have incorporated the years of experience that we have with online survey software into this product. 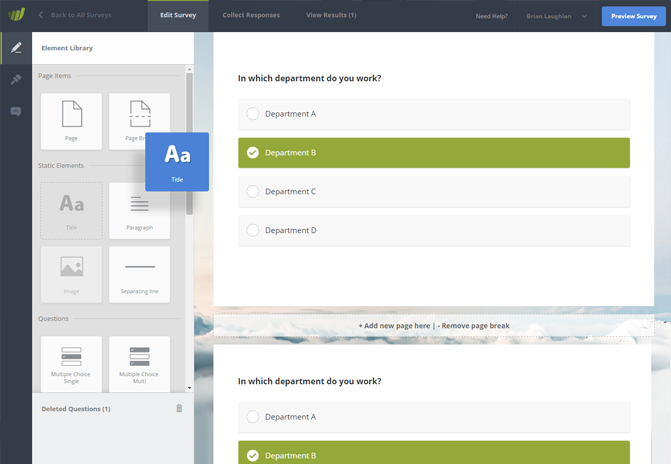 The initial response to SurveyHero has been fantastic: Users love the simple, yet powerful user interface, the design of our questionnaires as well as the extended reporting capabilities. This is currently our biggest product: This online survey tool has been tried and tested over the past 12 years and counts over 1,000,000 users worldwide. It is an extremely feature rich survey creation platform that is available in 12 languages. We are always on the look out for new talent. Apply now! We are looking for an experienced back-end engineer (PHP7) to support us in Zurich. You will power a platform that is used by millions of users world-wide. We are looking for a passionate front-end engineer to join our team in Zurich. You will create great things that will be used by millions of users world-wide. Copyright © 2006 - 2019 enuvo GmbH. All rights reserved.